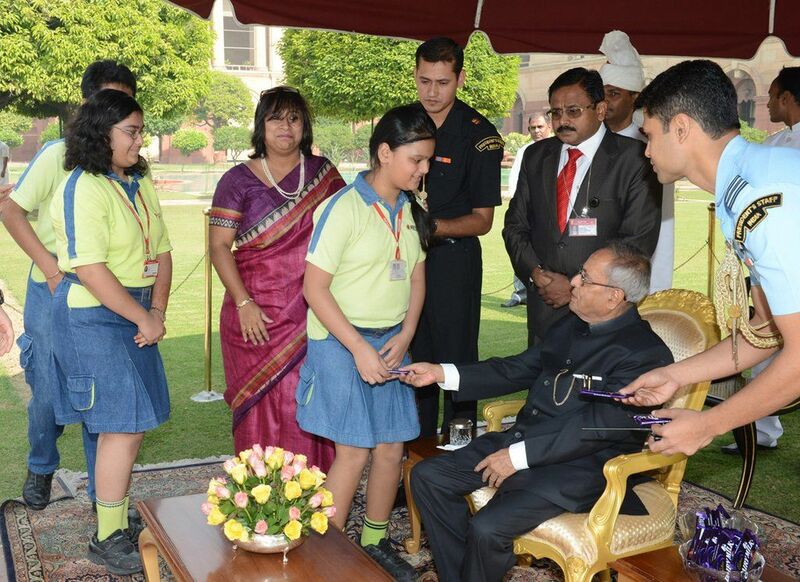 Presidium’s Special Visits are organised to inspire and motivate the young talent of the school, and give them an insight into the life of the top dignitaries. 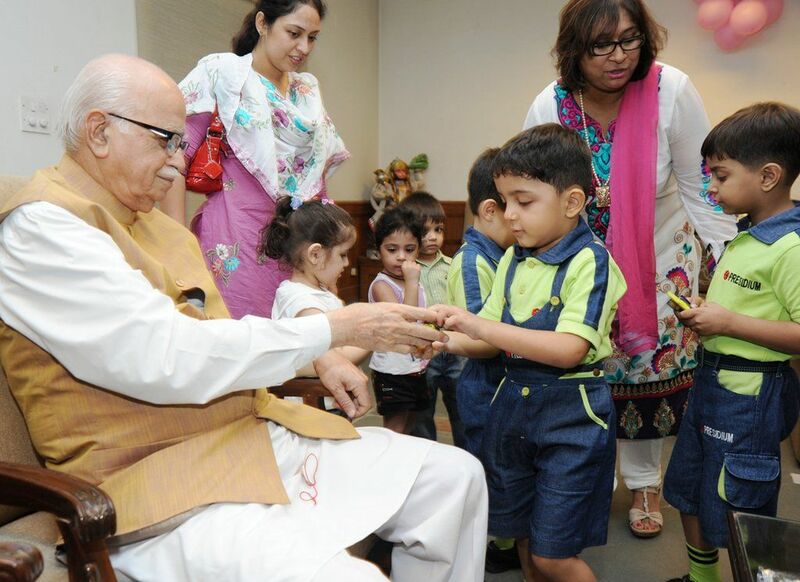 These visits are a learning opportunity for young Presidians, as they get sound advice from the leading personalities of today, and inspiration to turn oneself into a leader of tomorrow. 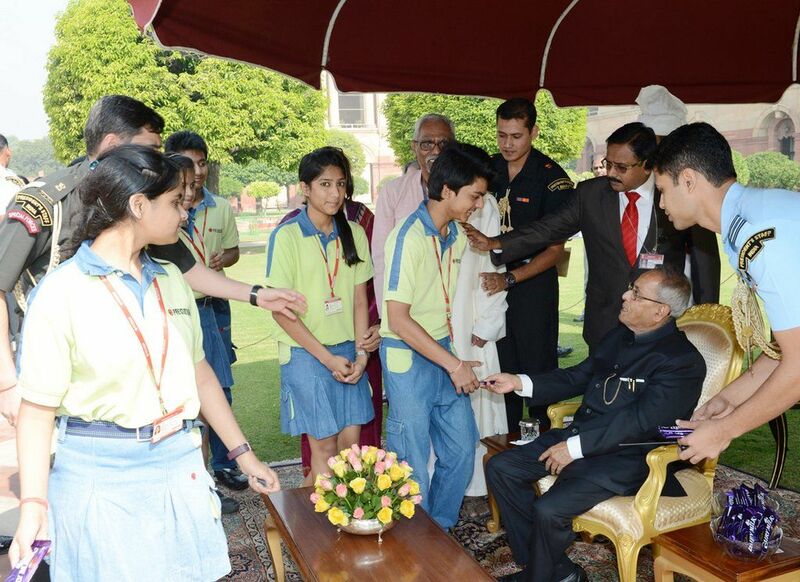 A group of Presidians went to President’s House where they met Hon'ble President Pranab Kumar Mukherjee and presented him the Signature Magazine of Presidium. 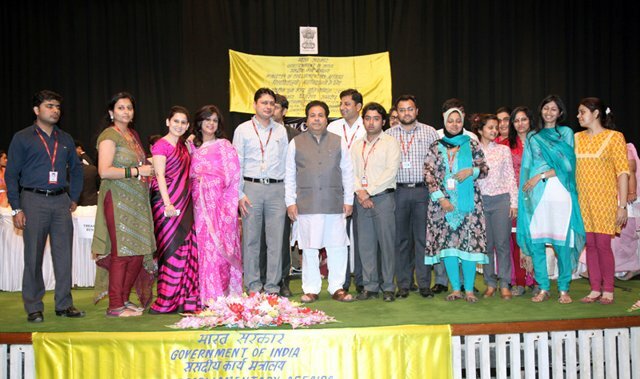 It was a moment of immense pride to witness a great statesman of today sharing words of wisdom with the future leaders. 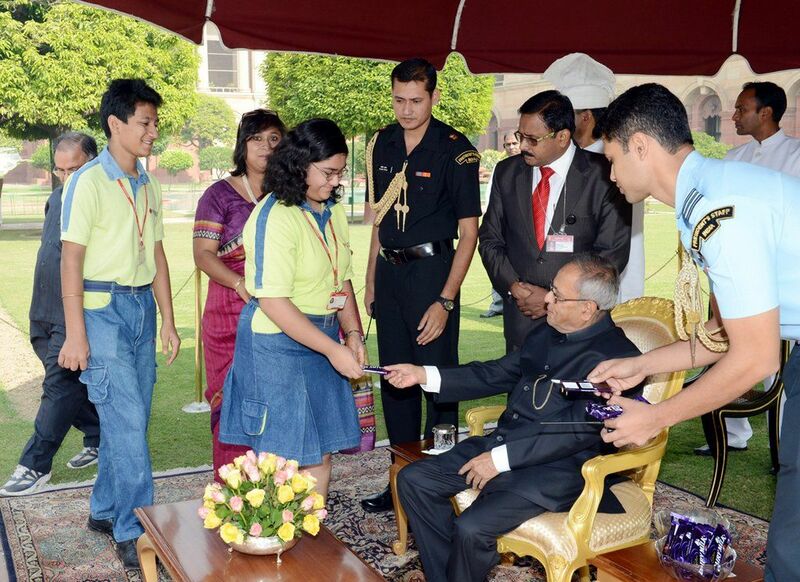 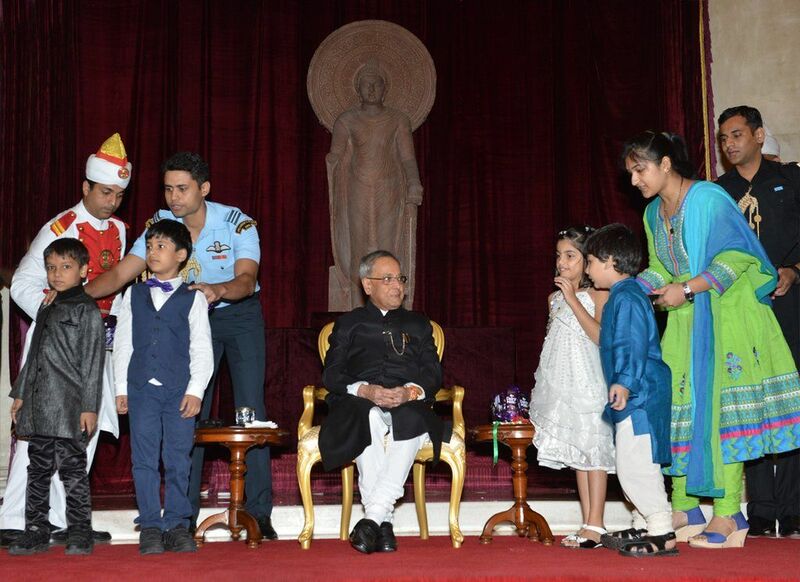 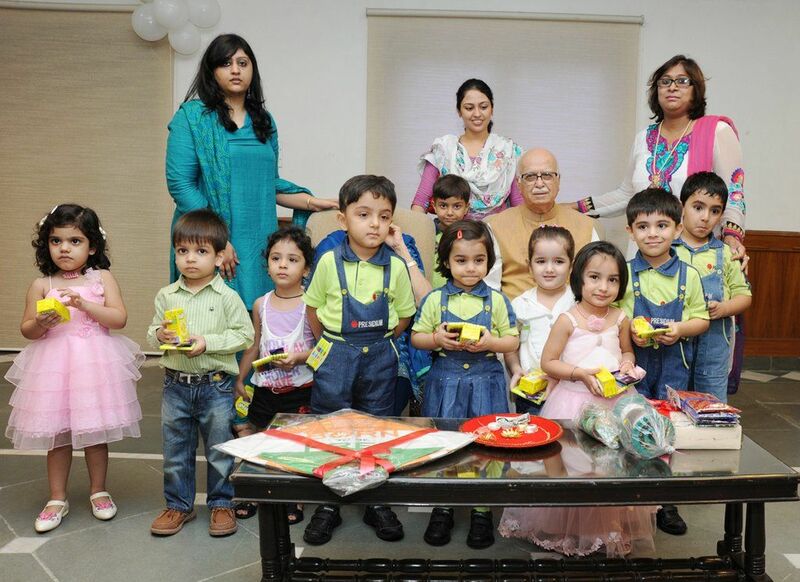 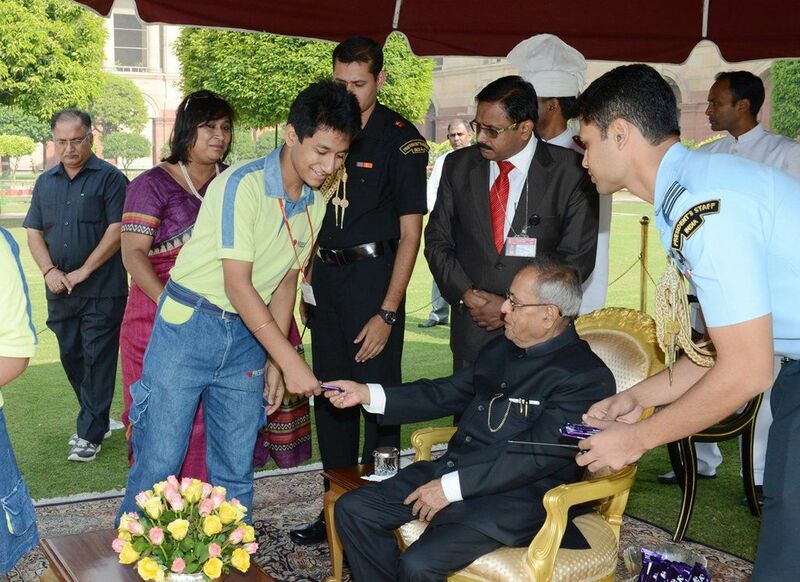 Also, the students were presented with chocolates by the Hon’ble President Pranab Kumar Mukherjee. 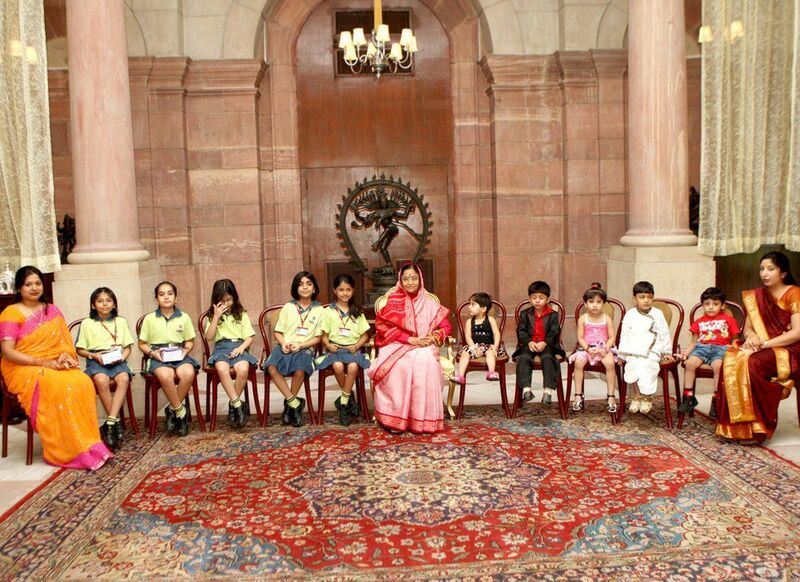 A group of Presidians visited the Parliament House to interact with the first woman Speaker of Lok Sabha, Mrs. Meera Kumar. 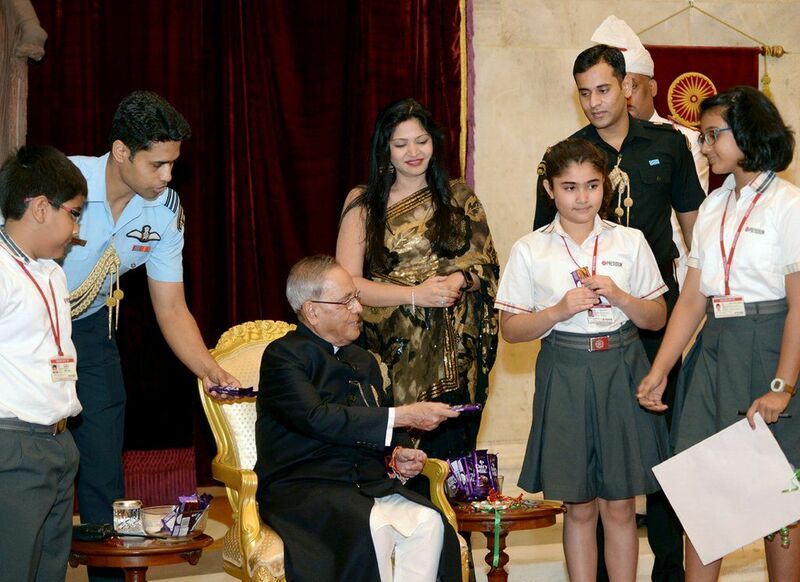 Children presented her beautiful self made greeting cards and shared Presidium's philosophy. 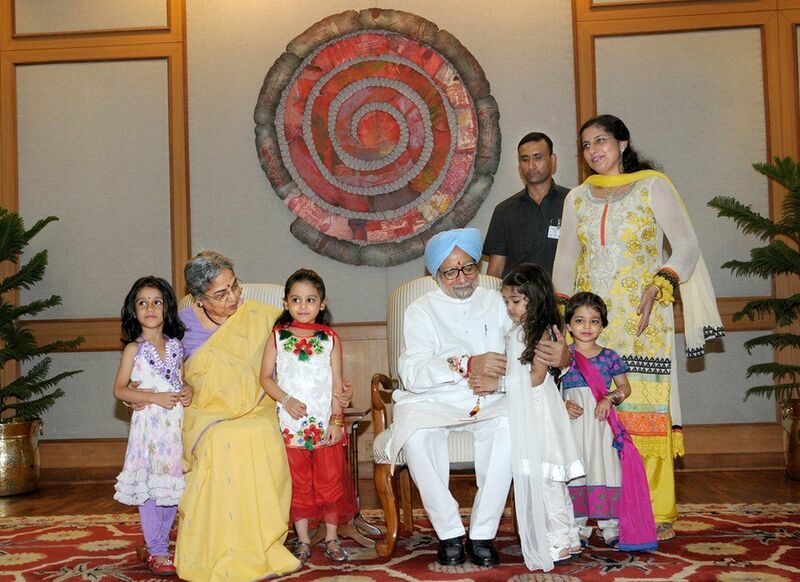 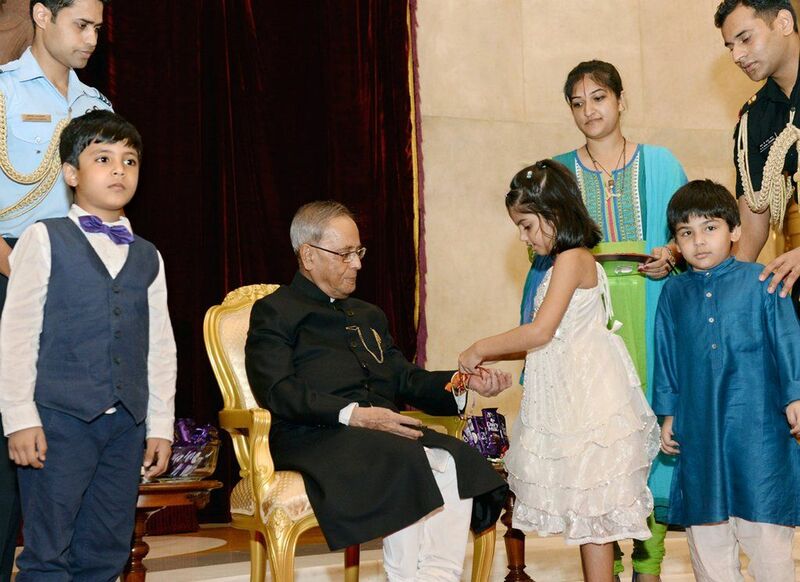 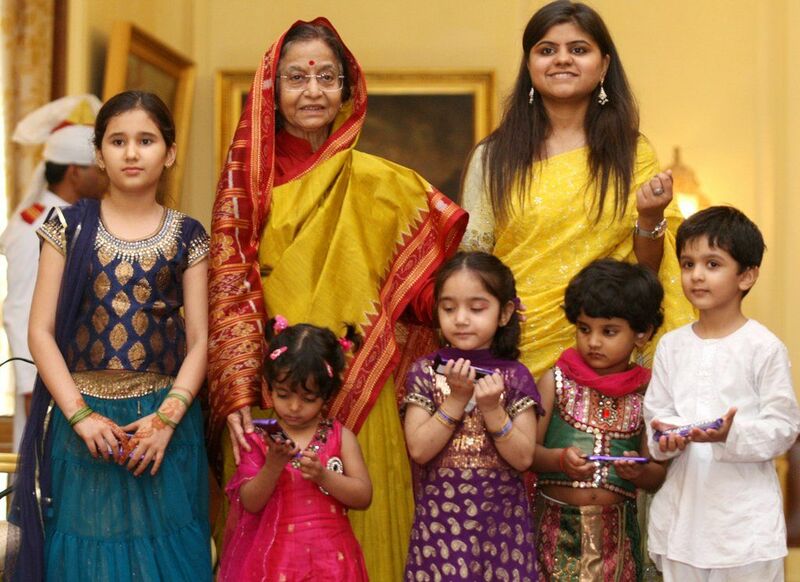 A group of students, representing Presidium, tied Rakhi on the hands of hon'ble President of India Shrimati Pratibha Patil, A. P. J. Abdul Kalam and Pranab Kumar Mukherjee, hon'ble Prime Minister of India Dr. Manmohan Singh, hon'ble Chief Minister Sheila Dikshit and Leader of Opposition L. K. Advani on the auspicious occasion of Rakhshabandhan. 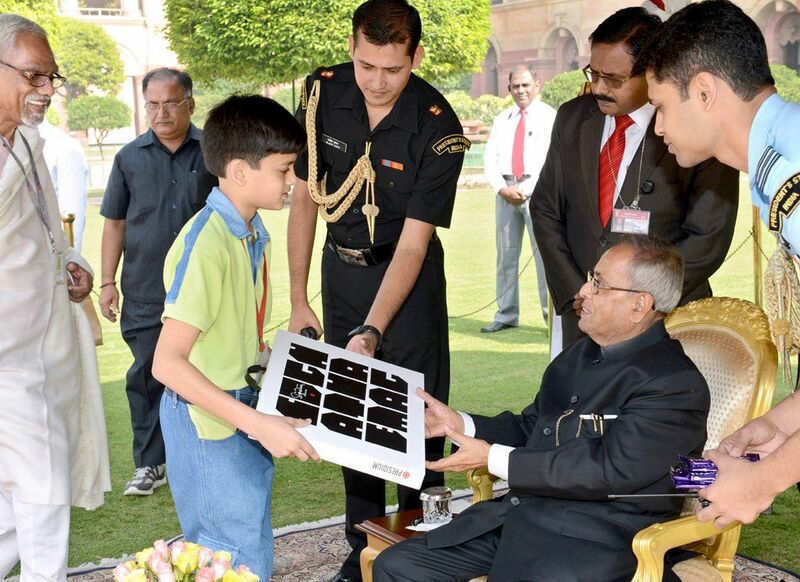 They presented beautiful self made cards after a brief yet engaging conversation with them. 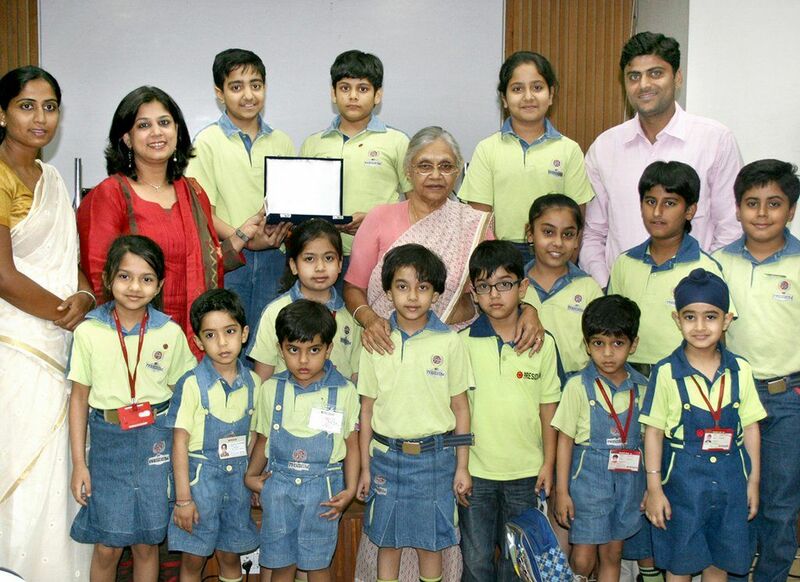 Later children shared their memorable experience in front of the whole school. 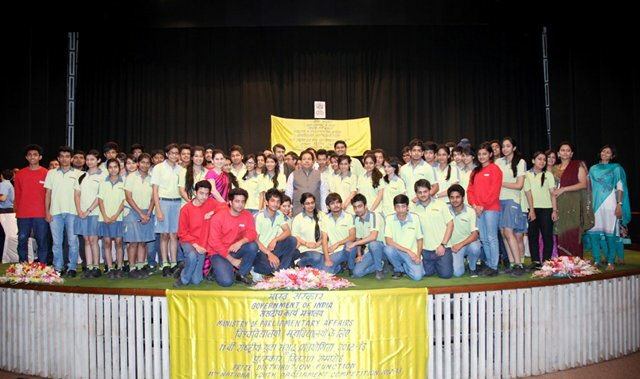 Our young and aspiring Presidians got an opportunity to meet the Olympics hero, Abhinav Bindra. 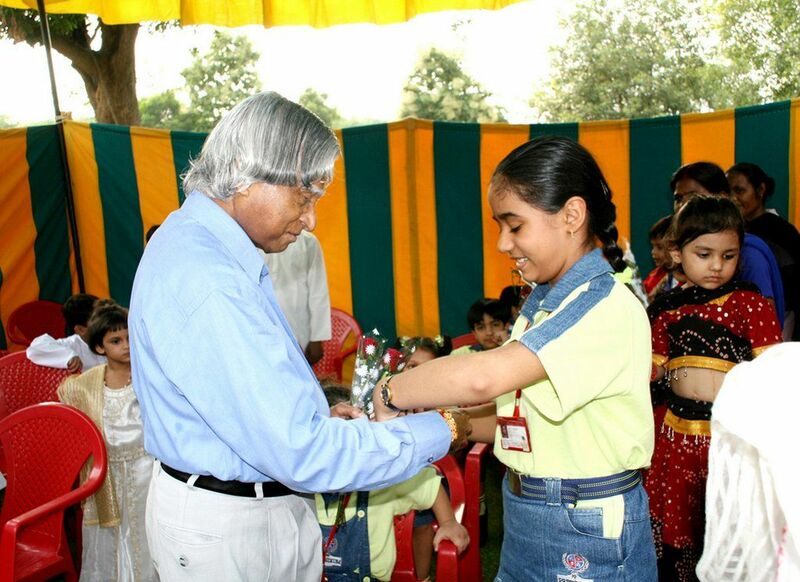 It was a delight to see the dynamic champion sharing his experiences with our budding champs. 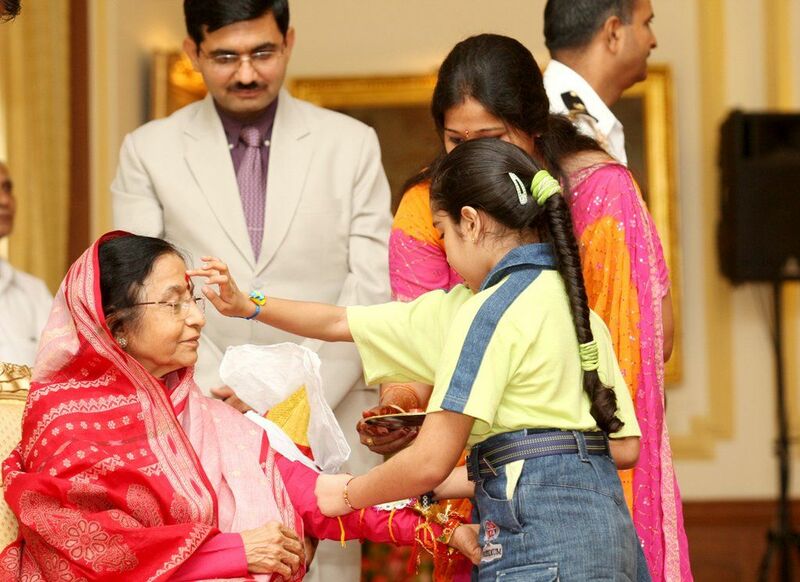 Wearing a smile and sporting self confidence, the little students of Presidium Senior Secondary School welcomed the Hon'ble President of India, Shrimati Pratibha Patil, at the inauguration of IITF (India International Trade Fair) on 14th Nov., 2007 at Pragati Maidan.